Avital Beauty Lounge Services & Products | Haircuts, Skincare & More! You are never too young or too old to refresh your makeup and hair care choices. 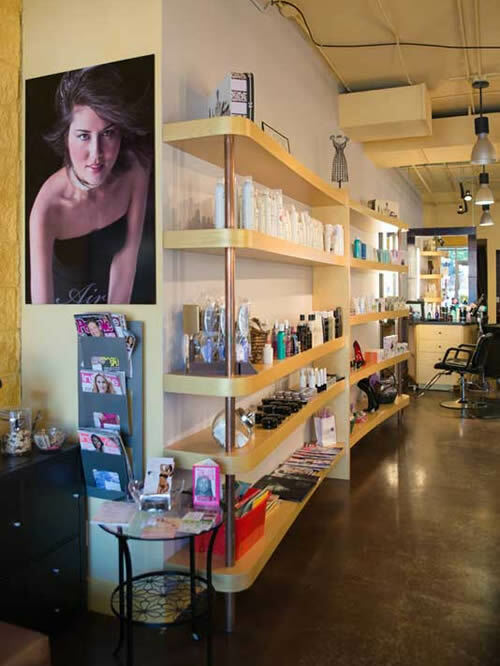 Avital Beauty Lounge provides highly personalized one-on-one mineral makeup, waxing, and hair care services that enhance your individual beauty. Select a category below to review specific services and prices. We welcome all clients regardless of race, gender, ethnicity or sexual orientation. First time Brow Design free, and for every 5 the 6th is free! We do our best to meet your scheduling needs and request that you adhere to our cancellation policy. Your appointment is very important to us and is reserved especially for you. At Avital Beauty Lounge, we understand that sometimes schedule adjustments are necessary; therefore, we respectfully request at least 24-48 hours notice for cancellations, unless your appointment is booked for the next day, in which case you have until close of business on the day you called and scheduled your service. We require a credit card on file to reserve all all appointments longer than 30 minutes. Please understand that when you forget or cancel your appointment without giving enough notice, we miss the opportunity to fill that appointment time, and clients on our waiting list miss the opportunity to receive services. Since the services are reserved for you personally, a cancellation fee will be applied. Deposits can be made by credit or debit card only. Clients who "NO SHOW" will be required to reserve their future appointments with a credit card and will be charged 50% of the service amount. Appointments made for the next day need to be cancelled before the end of the current business day, or a charge up to 40% of the reserved service amount will be made. Appointments that require more than 1 hour, or specialty appointments, need to be reserved with a credit card. Extensive or specialty services not cancelled at least 24 hours in advance will be charged 50% of the reserved service amount. We proudly offer the following hair, cosmetic and skincare products at Avital Beauty Lounge. Hair Products: John Masters Organics, Colure, Formula 18, AG Cosmetics. Skincare Products: Coola, John Masters Organics, Acure. Please enjoy and use these great specials from Avital Beauty Lounge! Avital Beauty Lounge can and provide the look you want on your special day! Bridal consultations & Pre-bridal services! Wedding day - at Avital Beauty Lounge or on site! Also available for special parties and/or events!